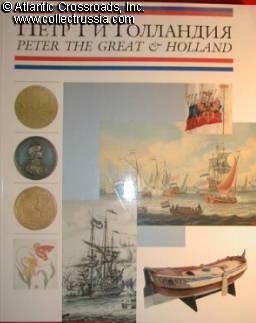 "Peter the Great and Holland". 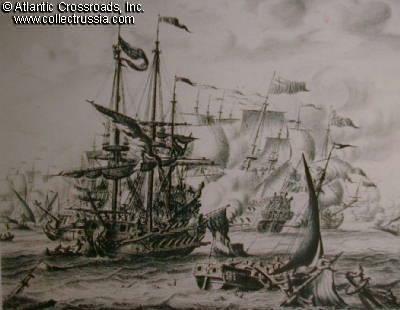 "Peter the Great and Holland". 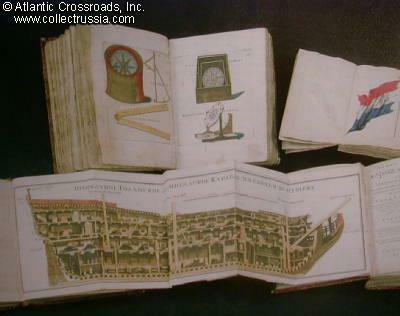 Subtitled "Russian & Dutch Scientific and Artistic Contacts" by Piotrovsky and Kruseman. Copyright 1996, large format soft cover, 184pp. A richly illustrated catalog of the Hermitage Museum's exhibit commemorating the 300th Anniversary of Peter the Great in Holland. Over 280 color and black and white photos of museum artifacts. Mostly Russian text, some English. Peter the Great visited Holland to examine Dutch science and culture which he regarded as superior among the European nations. During his visit, he collected numerous manuscripts, paintings, prints, instruments, sculptures and other artifacts with an eye towards transplanting Dutch arts and sciences into Russia. Surviving artifacts are portrayed in this book, and offer a unique insight into Peter the Great's fascination with the West. Moreover, they represent the height of technology and art in the 1600s and will likewise fascinate those interested in this period. The emphasis is on maritime and navigational artifacts.